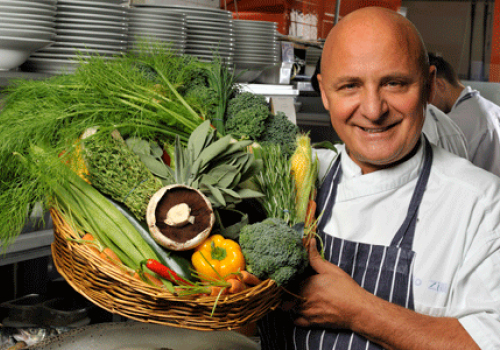 The youngest of nine children, award-winning chef Aldo Zilli grew up in Alba Adriatica in Abruzzo - but made his name in England. One of the first to introduce authentic Italian food to London in the ‘70s, in the 40 years since, healthy food has become his specialism. 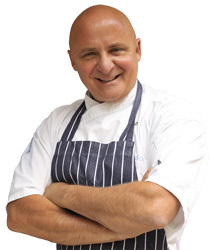 As well as an innovative restaurateur, Aldo is a prolific cookery columnist and book writer, runs his own marketing agency Zilli Media, and is a popular regular on British TV. His expertise has led him out of the kitchen and into the world of current affairs – from discussing food waste to mentoring the homeless. He works with UK supermarkets on pizza ranges and organic baby food - to Italian brand Alfa Romeo. He runs cookery schools in the UK and Italy, and counts Sir Paul McCartney as a foodie fan. He resides in London with his family and has three children. What are your memories of your hometown? 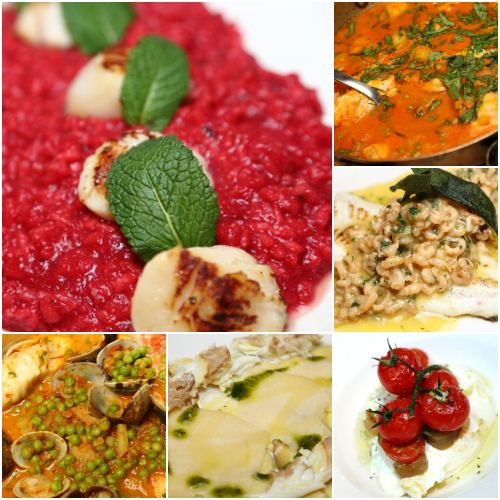 In your opinion, why are Italian chefs so popular in the UK? How do you think the typical British diet compares to the Italian/Mediterranean? You famously lost weight (21 kilos) publicly on TV's 'Celebrity Fit Club'. As a chef, is it hard to keep the weight off or do you think that eating healthily is the future of cooking? ‘Following my appearance, keeping weight off was not easy. Being a chef you constantly taste dishes, eat out of hours and eat on the go but if you’re conscious about calories and health then it becomes a part of your life, hence the fact that I’ve written the Zilli Light cook book for everyone to follow my tips. How does running your new restaurant compare to previous experience? 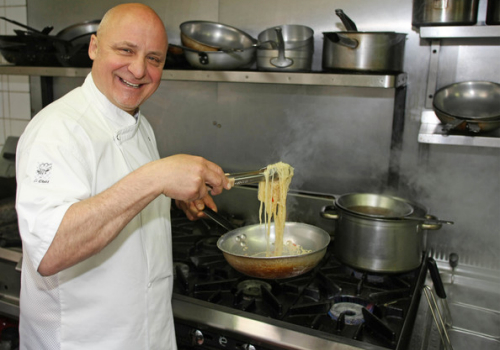 ‘My latest venture, Cicchetti, in London’s Piccadilly, is run by the San Carlo group of restaurants, and I don’t have to worry about the day to day routine of running it… but I can put my own stamp on the food and get to work with professional Italian chefs and restaurateurs such as Mr Carlo and his son Marcello. It’s a great partnership and I’m very much looking forward to the future and being back in the West End where I belong - right back where it all started. Which other associations are close to your heart? How has having experienced a dual culture flavoured your life? For more on Aldo’s consultancy to cookery classes and private dining experiences, see www.zillialdo.com and www.zillimedia.com. His books, including the most recent, Fresh & Green, can be found on Amazon .